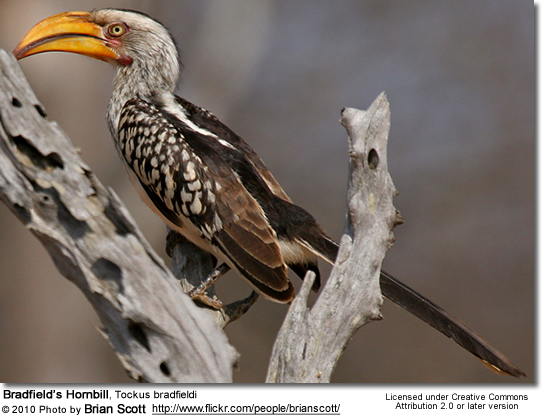 The Bradfield's Hornbill, Tockus bradfieldi, is an African hornbill. 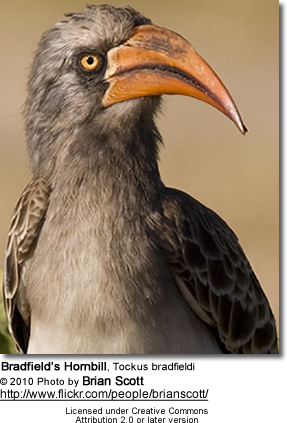 It is a medium sized bird, with length between 50 to 57 cm, characterized by white belly, black back and wings. 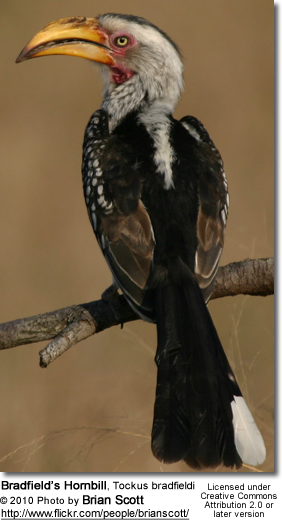 The tip feathers of the long tail are white. Females are smaller than males and can be recognized by turquoise facial skin. The eyes are yellow and the beak is red. The beak is long and presents no casque. 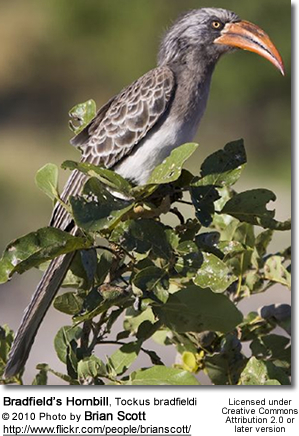 This is an uncommon resident of the mopane woodlands and mixed thorn fields of north eastern Namibia (especially in the Waterberg plateau), north Botswana, southern Angola and east Zimbabwe. They feed on fruits, large insects, nuts and small reptiles.